How about a cutting edge on both sides of the shank so it can be right or left handed? If anyone is doing regular remedial work like myself on old roofs these hammers are not that good. They do not reach into where the nails are. When you do reach a nail you are bridgng across other slates which can break as you appy leverage. Also a small head is preferable to reach tight spaces where small slates are re-nailed. The big head is more clumsy and hits other slates. The hammer looks lovely for new work. Totally different to our original Brades types here in UK. I use a home made hammer for repairs. I still need to carry ripper and slate knife on my person though. I like what Chris suggested. I also like to see a hammer made for heavier slates like 3/4, so that would mean adding some weigth to the hammer as a whole. I know alot of peolpe like the older model with the square heads! The nail puller works better in this design for the common nails the older one seem to be better as a pry bar for the removal of the slate and roofing nails. great hammer! how about etching measuring marks into the hammer? This way when i go to layout my overhangs for the drip edges and the rakes, i do not need to use a measuring tape. I could just hold my storz hammer flush to the surface. 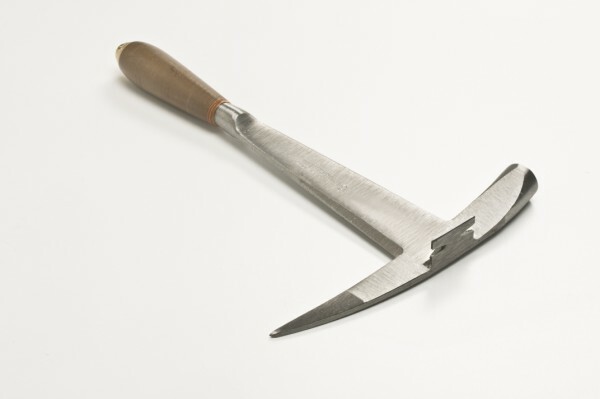 At Stortz Tools, we are considering making some design changes to our current model of the right handed slate hammer. We thought that this forum of experienced slate roofers would be a good place to gain some feedback on what people thought of our hammer, both good and bad. Some points of interest to comment on would be the nail claw, the weight / balance, the beveled mid-section for trimming, the handle shape and general feel of the hammer. Anything else that comes to mind we would welcome hearing from you. Thank you in advance for any input.